Extended range of marine electric locking & security products for Superyachts. 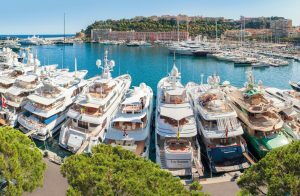 We recently extended our range of special-purpose marine-rated locking and security products specifically for use on superyachts and other high-value vessels. New to our marine-grade range is the unique Marine Lock. This device is designed specifically for on-board security applications – notably rapid lockdown defences against piracy – and features a slim 25mm profile for attractive yet unobtrusive installation in door jambs and hatchways. In addition to its super-tough construction design, anti-jacking credentials and hermetic sealing, we manufacture the Marine Lock in V4A stainless steel then finish it with a highly polished surface. That combines optimum functionality with the attractive aesthetics expected by owners of prestigious craft. It’s already in use by selected Superyacht builders to permit instant remote locking of external doors and hatches from the helm positions, in the event that invaders board the vessel. You may have noticed another recent addition to our marine product range: the EBL-W (Electric Bolt Lock – Weatherproof). This fully-enclosed IP65-rated locking mechanism features our proven solenoid actuator technology in a casing machined from a solid billet of aluminium. It is already used in salt water-facing locations on fast sea-going craft and is now being deployed on Superyacht-mounted high-end tender cranes in Canada. The anchor locker on the prestigious Aston Martin AM37 sports boat is also secured by a solenoid-actuated electric locking mechanism from our EBL-W family. Check out our marine and weatherproof ranges here.